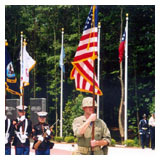 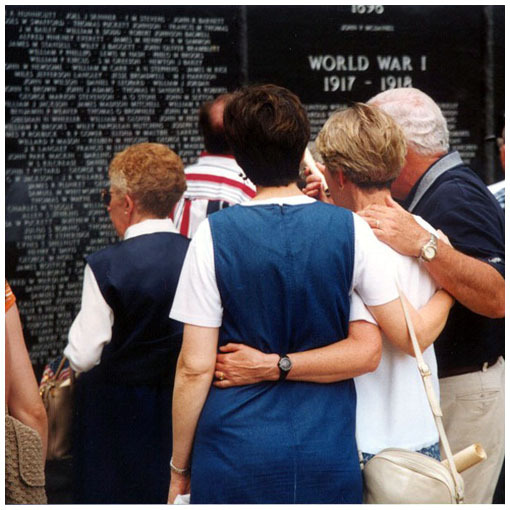 The events of September 11, 2001, raised public awareness of the risks taken and sacrifices made by men and women in uniform for the sake of our security and liberty. 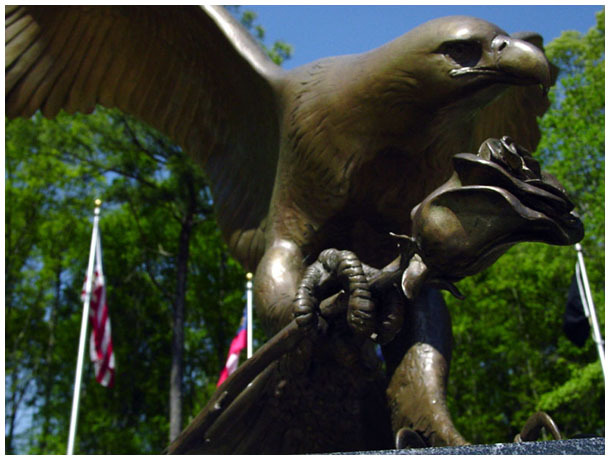 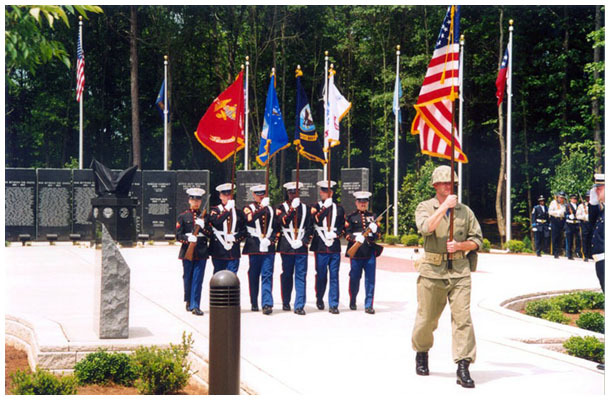 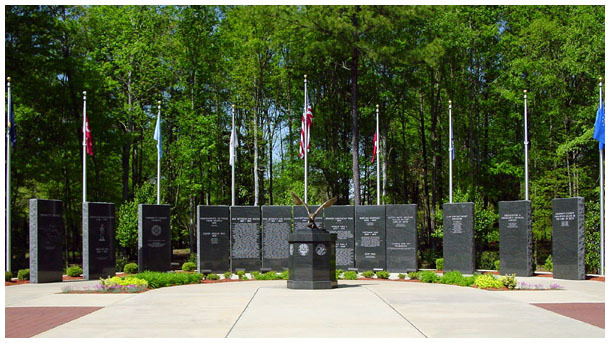 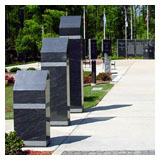 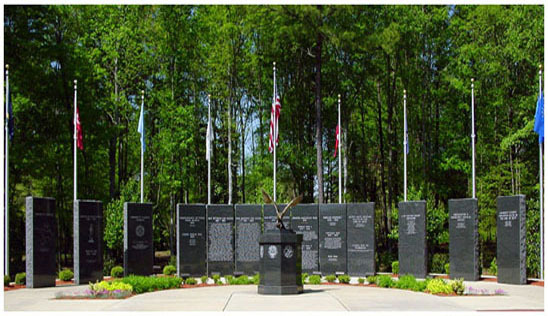 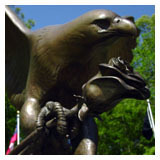 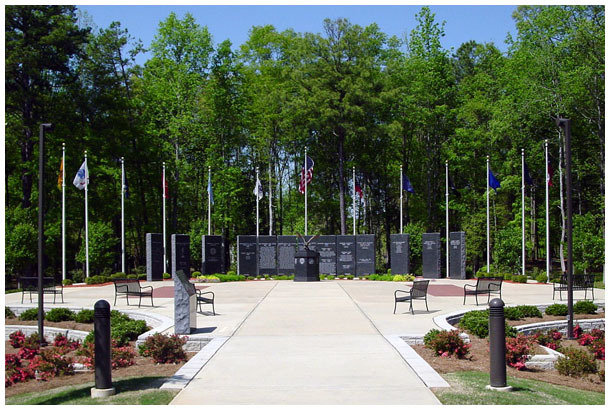 Gwinnett County has honored them with a solemn memorial located on the grounds of the Gwinnett Justice and Administration Center. 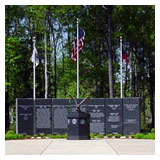 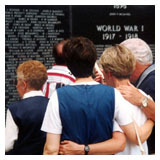 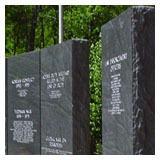 Thirteen nine-foot-tall American Black Granite panels are inscribed with the names of all of the Gwinnett County residents who have lost their lives while serving in the armed forces or as emergency services personnel. 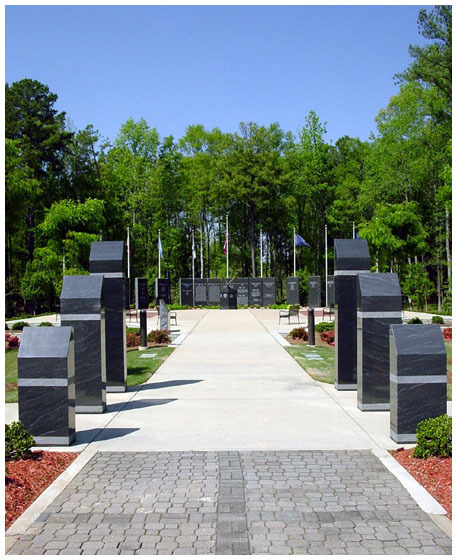 Ponder & Ponder, Architects provided design, construction document production, and construction administration services which included electrical engineering for site power and lighting by Ron Craddock. 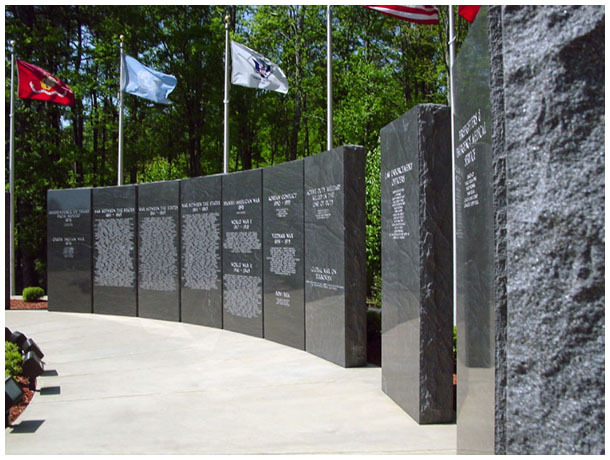 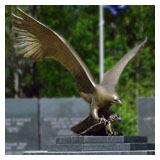 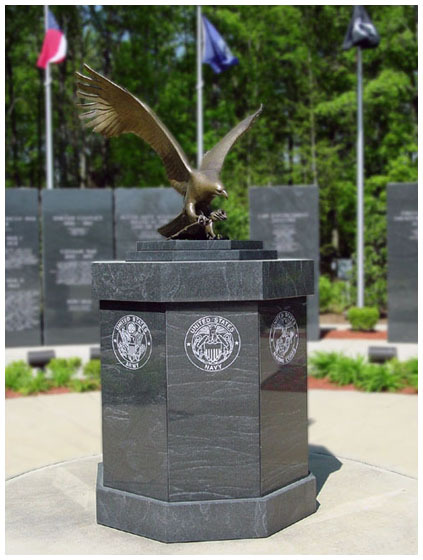 We coordinated with Breedlove Land Planning who provided preliminary design and site planning, and with the granite monument supplier, Keystone Memorials, Inc.